Jessie Nelson, conservation educator for the Kentucky Department of Fish and Wildlife Resources, shows a camper proper usage of a .22 rifle at Kentucky Fish and Wildlife's Camp Webb on Grayson Lake. Catalogs, emails and commercials touting must-have gifts this holiday season fill our mailboxes, flood our inboxes and splash across our television screens as the biggest shopping weekend of the year approaches. Amid the avalanche of gift ideas, there are some guaranteed to please the outdoors enthusiast on your list. Consider a gift certificate from the Kentucky Department of Fish and Wildlife Resources. Available online at fw.ky.gov, it functions much like a gift card. Recipients have five years from the date of purchase to redeem it online for licenses and permits, Kentucky Afield magazine subscriptions, Otter Creek Outdoor Recreation Area passes or summer camp registration fees. For the avid hunter-angler, the Sportsman’s license offers a considerable savings compared to purchasing licenses and permits separately. It bundles a combination hunting and fishing license, statewide deer permit, spring and fall turkey permits, state migratory game bird-waterfowl permit and a trout permit at a cost of $95. A Junior Sportsman’s license for Kentucky residents ages 12-15 includes a youth hunting license, two junior deer permits and two junior turkey permits for $30. The new license year starts March 1, 2015. While visiting Kentucky Fish and Wildlife’s online home, check out the Kentucky Afield store. There, you can find some of the same apparel worn on the television show hosted by Tim Farmer, and find information if you’re interested in purchasing past episodes. The deer processing DVD is good for new and experienced deer hunters alike. Kentucky Afield magazine publishes four times a year and new subscribers can sign up online or by mail. The cover of every issue features original artwork by Rick Hill. Inside, readers will find the pages packed with feature stories highlighting some of the best hunting and fishing opportunities in the state, tips for a better day afield and the latest news from the Kentucky outdoors. The popular Kentucky Afield Outdoor Calendar is included in the price of a magazine subscription. At 32 pages, the calendar features breathtaking images of Kentucky as well as useful information about proposed hunting dates, stocking information for Fishing in Neighborhoods (FINs) lakes, hunting and fishing tips and more. Since the 2015 calendar has already been printed, those who subscribe now will receive the 2016 calendar in December 2015. The 2015 calendars will begin mailing to current subscribers within a week. Individual copies of the 2015 calendar will be sold online for $7.50 and remain on sale while supplies last. A visit to the Salato Wildlife Education Center can spark a child’s love of the outdoors, as can a week at one of Kentucky Fish and Wildlife’s conservation camps. Located on the campus of Kentucky Fish and Wildlife headquarters in Frankfort, Salato Wildlife Education Center affords visitors the opportunity to view some of the animal species that call Kentucky home and learn about their native habitats. The center closes for the season on Nov. 27 and will reopen March 3, 2015. Annual memberships ranging from $20-$50 are available by calling Kentucky Fish and Wildlife at 1-800-858-1549. Conservation camps are open to Kentucky students in grades 4-6 and a Junior Sportsman’s license is included with the $230 registration fee. 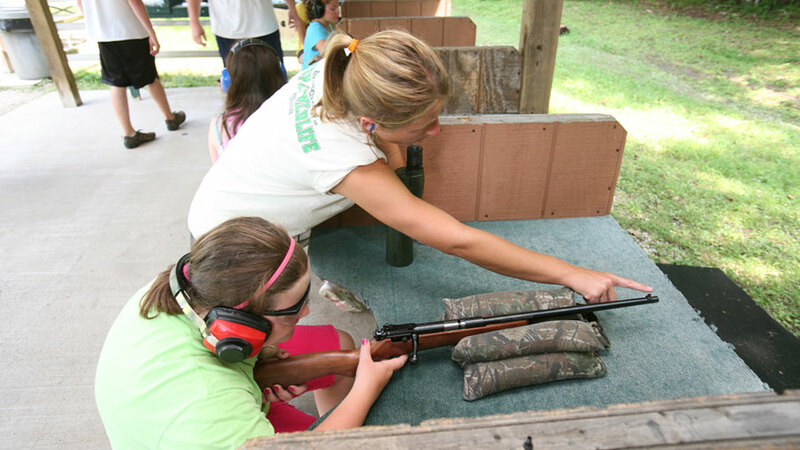 Help foster the development of future sportsmen and sportswomen in Kentucky by sponsoring a camper through the Kentucky Fish and Wildlife Foundation. Letters written by children wishing to attend Camp John Currie, Camp Earl Wallace or Camp Robert C. Webb are posted on the foundation’s website at kentuckywildlife.com. Different sponsorship amounts are accepted. The foundation also sells 75-quart Orca coolers for $469.99 as a fundraiser for camp scholarships. It generates enough through each cooler sale to send a child to camp. As these ideas illustrate, picking out the right gift at holiday time doesn’t necessarily require fighting the crowds or spending hours running from store to store. It’s all about knowing where to look. Editor’s Note: Kevin Kelly is a staff writer for Kentucky Afield magazine, the official publication of the Kentucky Department of Fish and Wildlife Resources. Get the latest from Kevin and the entire Kentucky Afield staff by following them on Twitter: @kyafield.